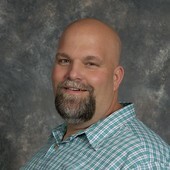 I’m Brett Scheckel, owner and president of Garage Door Giant. I have worked in the door industry for over 20 years, starting in the garage of my home. My goal is to bring you the best quality and service possible where door systems are concerned. We carry the Amarr garage door product, and we feel it’s the best door on the market. In addition to Amarr, we also carry C.H.I. Overhead Doors for the same reason. We don't only sell and install garage doors, we service them too: We fix garage door springs, motorized door openers & remotes • tracks, rollers, drums & cables • insulation & weather seals. We'll even show you how to make simple maintenance repairs when you need to. We want to ensure that your existing garage door works safely and properly -- that's our number one concern! All of our doors have the best warranty programs in the garage door industry. Many doors are available and in stock, but we also receive weekly deliveries, so lead times are generally very short on special orders. We do not charge extra for color options or for nonstandard products. Qualified contractors get special pricing, so all you builders out there, check our prices before you buy. You’ll be glad you did. I appreciate your taking the time to read this. If I can be of any assistance or answer any questions, feel free to call me at (619) 857-3447.